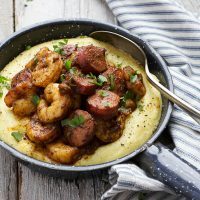 This wonderfully Spicy Chorizo and Shrimp, with Polenta, is a perfect meal for any time and especially cozy to dig in to in the cooler months. 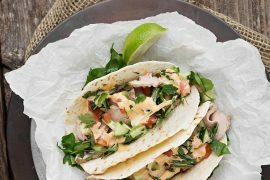 It’s a delicious meal that’s ready in 30 minutes, so perfect for busy weeknights, too! Disclosure: I received a review copy of The Gourmet Kitchen from Jennifer at Savory Simple. 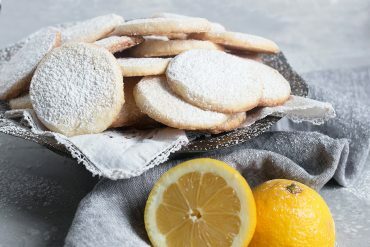 I was so pleased to have been asked to review her new cookbook as I have been a fan of her blog for a long time! 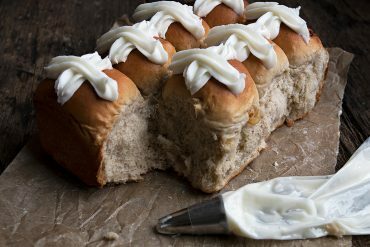 I am so pleased to be sharing a dish from Jennifer Farley’s new cookbook The Gourmet Kitchen. 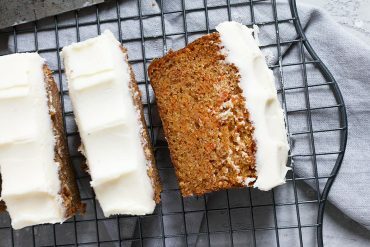 You may know Jennifer from her blog Savory Simple, where she shares wonderful recipes with absolutely beautiful photos. And of course, her cookbook is very much an extension of all those great things. I absolutely loved the variety of recipes in this book. From drinks, to appetizers, to main courses and delicious desserts. There is something for everything from everyday eating to special recipes for entertaining. Jennifer and I clearly have very similar taste in food (maybe it’s the name? :), because I plan to try just about everything in this book and I can’t wait! 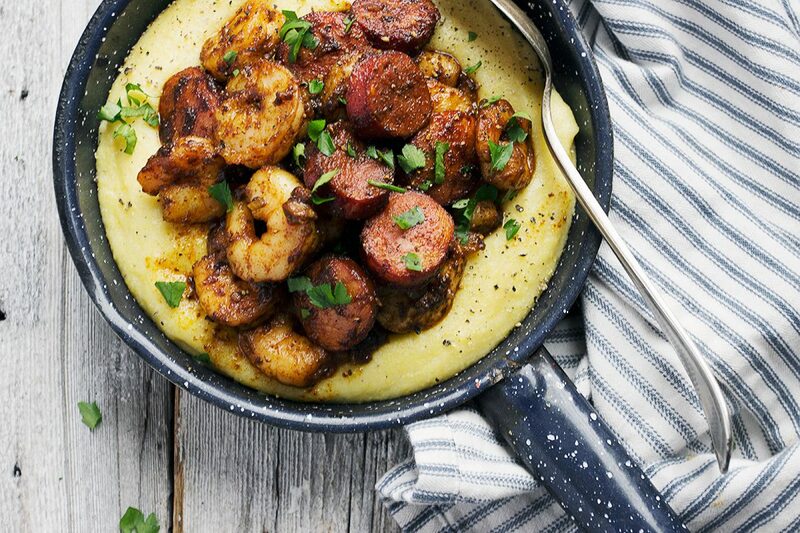 It was so hard to pick a first recipe to cook and share with you here, but I decided on this Spicy Chorizo and Shrimp with Polenta. 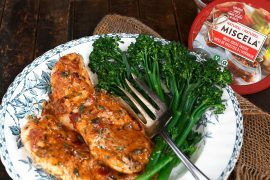 It’s a great weeknight meal, as it’s ready in just 30 minutes and it’s packed with flavour! The shrimp and chorizo and quickly sauteed with garlic, paprika, coriander and cumin and spooned on top of creamy polenta. I LOVED this dish and it will be on repeat in my kitchen, for sure. If you are looking for a great cookbook gift for a food lover in your life this holiday season, The Gourmet Kitchen would be a great choice. 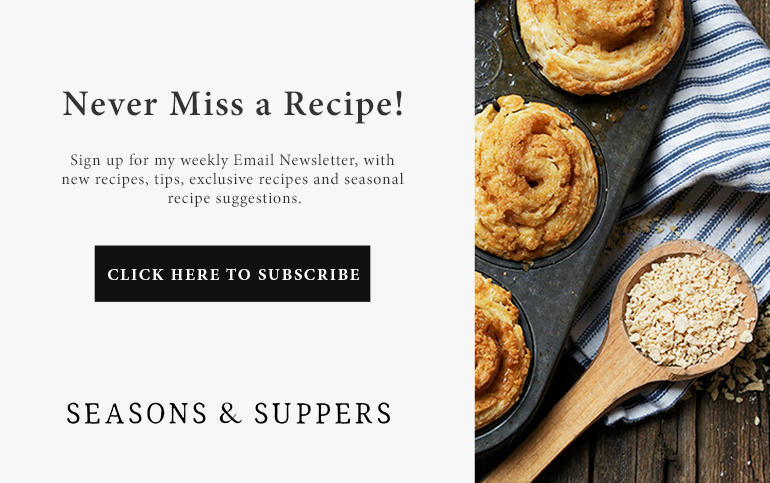 It features accessible, creative recipes that are perfect for any special event, every season or just what to make for dinner tonight. 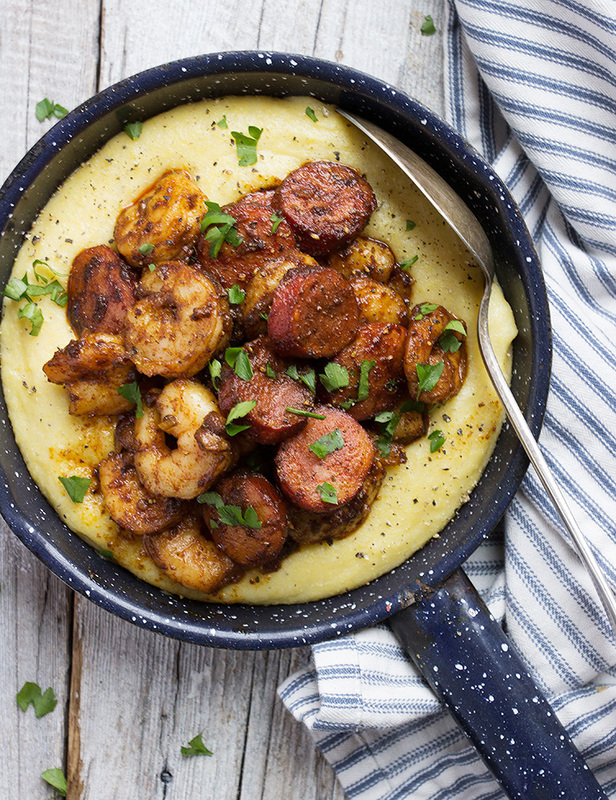 Wonderfully spicy shrimp and chorizo, served on top of creamy polenta. 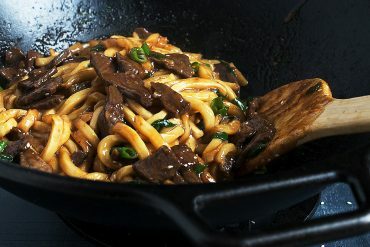 Ready in just 30 minutes, so perfect for a quick, easy and delicious weeknight meal! For the polenta: In a Dutch oven or large heavy-bottomed pan, bring the stock, water, milk, salt and pepper to a boil over high heat. Slowly whisk in the cornmeal and reduce heat to low. Simmer uncovered, stirring frequently, for 25-30 minutes. While the polenta is cooking, heat the oil over medium heat in a skillet. Add the paprika, coriander, cumin and salt. Stir to create a paste and allow to cook until fragrant, about 1 minute. Add the chorizo and cook, stirring, until browned, about 2 minutes. Remove chorizo from the pan to a plate. If skillet seems dry, add a bit more oil. Add the garlic and cook for about 1 minute, stirring. Pour the water or stock in to the pan to deglaze, using a spatula to scrape up and stir any brown bits. After the liquid has reduced slightly, add the shrimp. Cook for about 2 minutes per side, or until pink and opaque. Remove the pan from the heat and return the cooked chorizo to the pan, stirring well. Set aside until ready to eat. When polenta is ready, remove from heat and stir in the butter. Taste for seasoning and add additional salt and pepper, if desired. To serve, spoon polenta in to bowl and top with the chorizo and shrimp. Garnish with chopped cilantro or parsley, if desired. 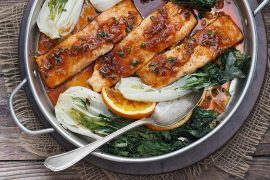 This looks super easy but also super flavorful, my family would love it! 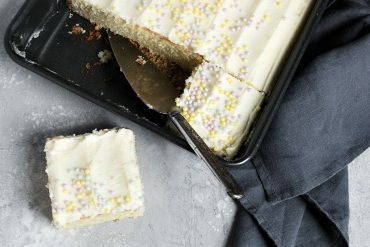 Wow, this looks fantastic and the cookbook sound wonderful. This is company fare made easy!